A web enabled drilling simulator and lab facility for research, education and demonstration of drilling technology! A configuration in the Web Enabled Drilling Simulator is a description of the different elements and components that affect the circulation system and drillstring mechanics. The computer models behind OpenLab Drilling are extremely advanced and a configuration consists of hundreds of input parameters. Therefore, you are given a set of template configurations to start with. A simulation in the Web Enabled Drilling Simulator is based on NORCE's computer models of well flow and drillstring mechanics. Although the computer models behind the simulator are among the world's most detailed models of their kind, we have created a web environment where you can easily run simulations and handle the results. The simulator can be run interactively through a web browser, or also programatically through our Matlab or Python packages. The lab facilities are open for students, professors and engineers for research, education, testing and demonstration of drilling technology. 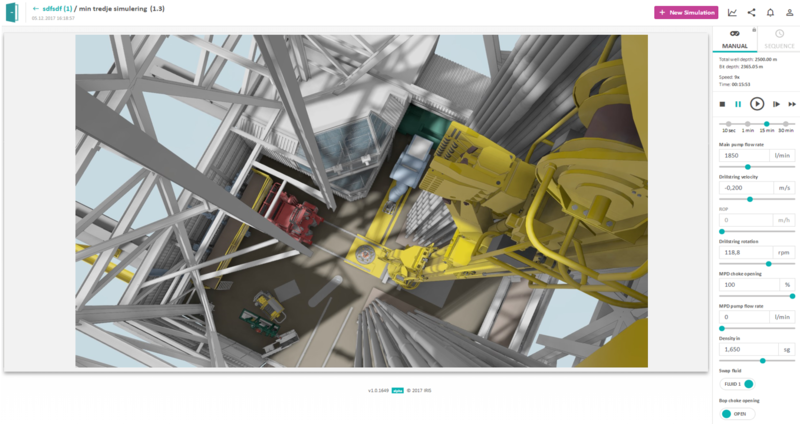 Downhole simulations can be run with a large variety of scenarios with 3D visualization of the drill floor. Drilling control systems will also be available with user-friendly access for non-vendor specific software. 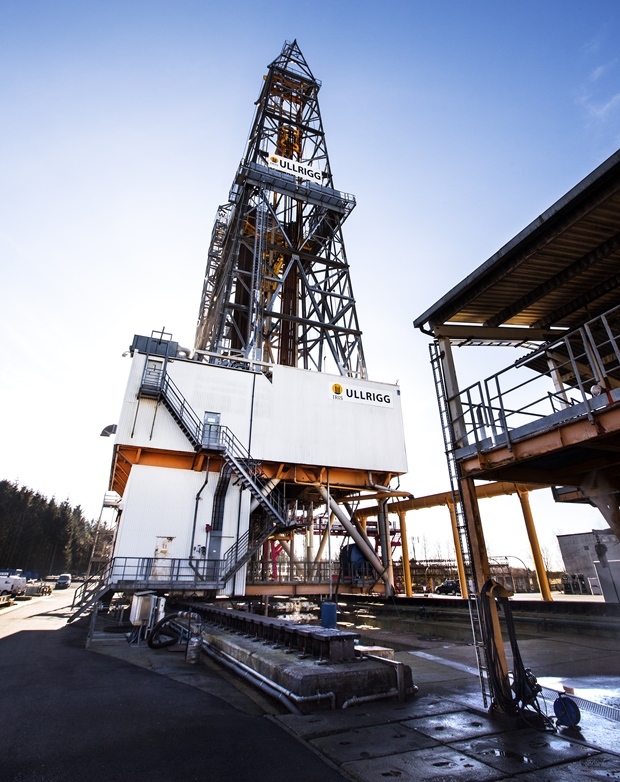 The physical rig, Ullrigg, is the world's most advanced full-scale drilling test site and includes an offshore type drilling rig with access to seven wells. Measurements from surface and downhole sensors will be partially replaced by artificial measurements from virtual wells using the OpenLab simulator. Drilling and well operations are performed from a physical rig with measurements from virtual wells. Using such digital platform in teaching provides students more opportunities to develop new methods and algorithms, share and exchange knowledge and ideas. With the help of the simulator, students can easily simulate different dynamic drilling processes and get good fit-for-purpose training like petroleum engineers. We get very positive feedback from students in class”, Dan Sui concludes. The NORCE OpenLab simulator gives Exebenus the ability to showcase the Exebenus Pulse value to a client by using their own historical data sets for any drilling or non-drilling scenarios. The user of this software is obliged to refer to the use of OpenLab. A reference to OpenLab shall be included when simulation results or any other information from OpenLab is used in any form such as presentations, articles, reports or in any other form. This Software is provided by NORCE Norwegian Research Centre 'as is' and 'with all faults'. Could include technical or other mistakes, inaccuracies or typographical errors. NORCE may make changes to the software or documentation made available on its web site. May be out of date, and NORCE makes no commitment to update such materials. NORCE assumes no responsibility for errors or omissions in the software or documentation available from its web site. In no event shall NORCE be liable to you or any third parties for any special, punitive, incidental, indirect or consequential damages of any kind, or any damages whatsoever, including, without limitation, those resulting from loss of use, data or profits, whether or not NORCE has been advised of the possibility of such damages, and on any theory of liability, arising out of or in connection with the use of this software. The use of the software downloaded through the OpenLab site is done at your own discretion and risk and with agreement that you will be solely responsible for any damage to your computer system or loss of data that results from such activities. No advice or information, whether oral or written, obtained by you from NORCE or from the OpenLab web site shall create any warranty for the software. NORCE makes no representations or warranties of any kind concerning the safety, suitability, lack of viruses, inaccuracies, typographical errors, or other harmful components of this Software. There are inherent dangers in the use of any software, and you are solely responsible for determining whether this Software is compatible with your equipment and other software installed on your equipment. You are also solely responsible for the protection of your equipment and backup of your data, and NORCE will not be liable for any damages you may suffer in connection with using, modifying, copying or distributing of this Software. Including, but not limited to, NORCE shall in no event be liable to you or any third parties for any special, punitive, incidental, indirect or consequential damages of any kind, or any damages whatsoever, including, without limitation, those resulting from loss of use, lost data or profits, or any liability, arising out of or in connection with the use of this Software. However, should any dispute occur it shall be governed by Norwegian Law at the District Court of Stavanger. NORCE Norwegian Researh Centre has access to information that you voluntarily give us via this website, by email, or other direct contact from you.